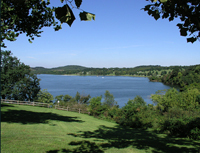 Six years before Conrad Weiser migrated from the Schoharie settlement in New York to make his home in Tulpehocken, Leonard Rieth led a band of 33 families into the broad valley that forms between the Blue and South mountains. In paying tribute to Conrad Weiser we sometimes forget that others shared the glory of those early years and Leonard Rieth was one of them. Three Rieth brothers, Adam, Michael, and Leonhard, were members of the group of distressed Palatines who found their way to New York province in 1710 after suffering terrible hardships. For some time there was doubt about the name Rieth, because it did not appear on the printed lists of Palatines but recent research along these lines reveal that scholars misread the Niederlandish script on the original records of the ship lists of Palatines being transported from Rotterdam to London in 1709. The Rieth’s were among them but the first letter of the name was interpreted as a V instead of an R.
Leonhard Rieth was naturalized at Albany in 1715. His naturalization papers bore the signatures of two prominent names in New York, namely those of Peter Schuyler and Phillip Livingstone. When the trek to Pennsylvania began, in 1723, Leonhard was the acknowledged leader of the vanguard of Tulpehocken settlers. He took up 1,000 acres of land where the Millbach creek joins with the Tulpehocken, near present-day Stouchsburg. His house was built about a quarter of a mile below the junction of the two streams. The name Rieth has been perpetuated in Berks history, largely through the erection of Rieth, or Reed Church in 1727. The original church the oldest Lutheran church outside of Philadelphia, stood upon a rising slop of land north of the Tulpehocken, on land donated by the Rieth’s. 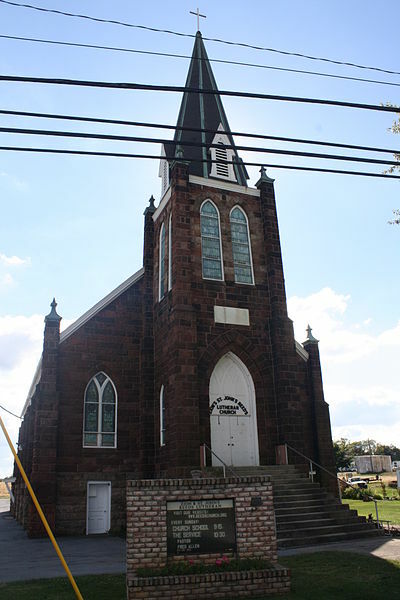 The churchyard is still there and the John Reed family of Stouchsburg, direct descendants of Leonhard Rieth are actively interested in maintaining the present Reed’s Church in Stouchsburg. The death of Leonhard Rieth was one of the most tragic events in the early history of the Tulpehocken colony. He had erected a gristmill on the north bank of the Tulpehocken, not far from the junction of the two creeks. One day in February, 1747, Leonhard Rieth was caught in the cog-wheels of his mill and his body was terrible mangled. The first duty of the new clergyman at Tulpehocken, the youthful Rev. J.N. Kurtz, was to officiate at Rieth’s funeral. At the time there was great deal of dissension in the congregation at Rieth’s church and one of the factions tried to prevent the new pastor from performing his solemn duties. Zion’s and St. John’s Reed Church, Stouchsburg, PA. Built on land donated by Leonhart Rieth. There are many persons who deplore the removal of old landmarks in the construction of new and modern structures. The huge red-covered bridges are passing from the scene. In recent years one of the most noble of all bridges in Berks County was torn away to make way for a concrete structure bared to all of the elements. The old covered bridge at Charming Forge is a familiar memory for many persons who sought out that romantic spot in years gone by. And yet these covered bridges are not ancient or even very old. The Forge Bridge was only 65 years of age when it was removed in 1938. Many persons still are living who can remember the cable bridge which spanned the wide Tulpehocken (spelled Tulpehoccon as late as 1876) prior to erection of the covered bridge at that point in 1873. In this modern day it may be interesting to note the specifications which were set up by the county commissioners when the Charming Forge covered bridge contracts were given in the autumn of 1872. “Wall plates; 6×15; bottom chords 8×14; top chord 10×10; floor beams 8×12; double arch pieces 7×13; queen post 10×13; ring post 10×15; braces 8×10, etc. When one reads these requirements it is not difficult to see why steel and concrete must be used to take the place of timber. Where would we find the timber? The bridge was 165 feet long between the abutments. It was 16 feet wide “in the clear” and 13 feet high. The bridge was painted with Ohio “fire-proof” paint. 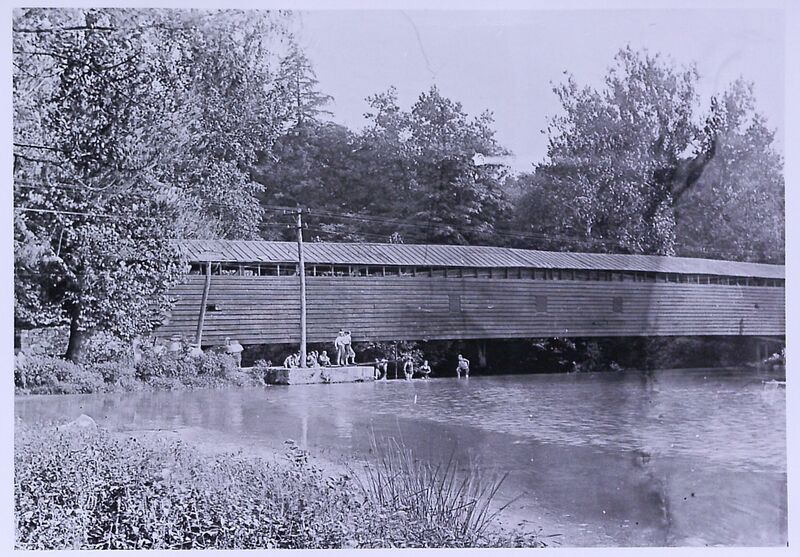 At the time of the building of the Forge bridge, life in that part of Marion Township was vastly different from the peaceful summer resort that makes up Charming Forge today. In 1872 the Union Canal was still operating along the reaches of the Tulpehocken and Taylor’s Forge, the one-time Tulpechocken Eisenhammer of “Baron” Whilhelm Stiegel still was smelting pigs from iron ore. A sturdy bridge was needed to bear the weight of wagons loaded with ore from the Cornwall Mines and Charcoal from the pits on neighboring farms. Covered Bridge at Charming Forge Courtesy of the Berks County Historical Society.